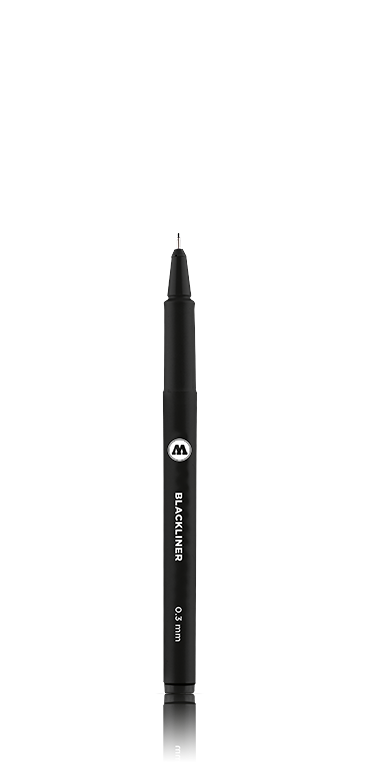 The professional marker series contains art application tools for advanced artists with a traditional art style. Established marker concepts were improved in technology and paint formula in order to create innovative concepts for art applications. 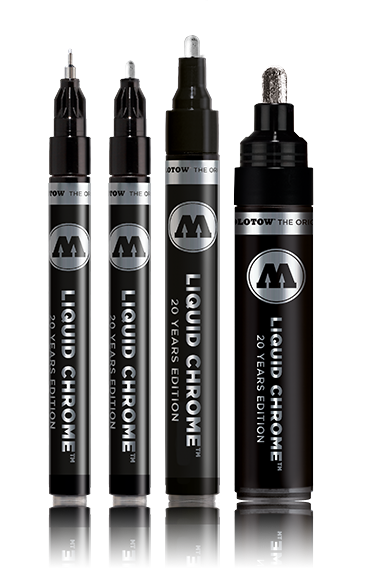 As with the artist line, almost all products of the professional series are built to refill. 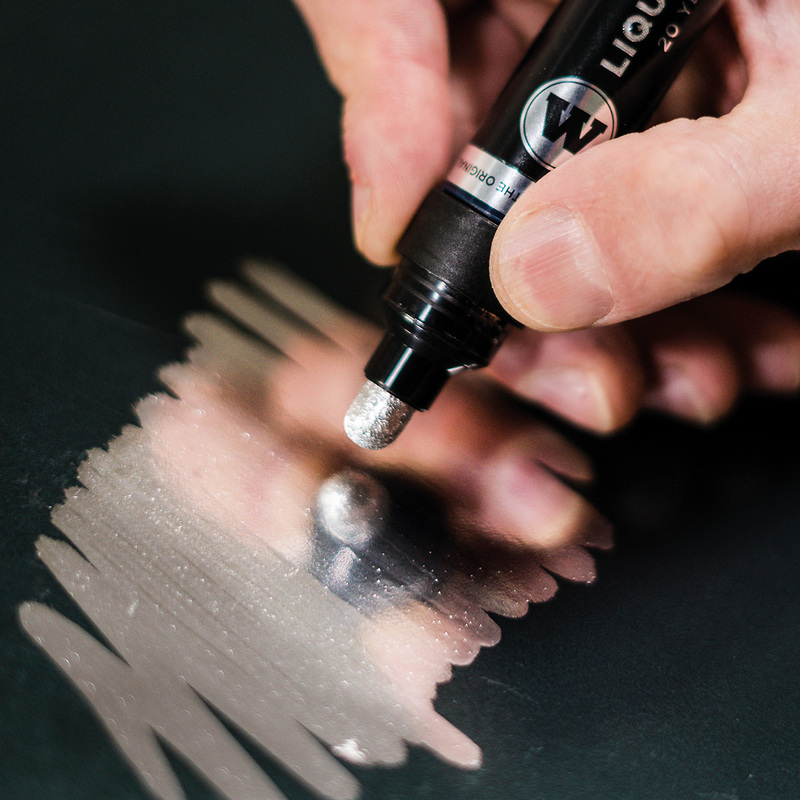 All LIQUID CHROME™ markers are filled with the unique LIQUID CHROME™ ink. The highly pigmented special ink has an unreached mirror effect on the marker market and is limited scratch- and abrasion-proof. 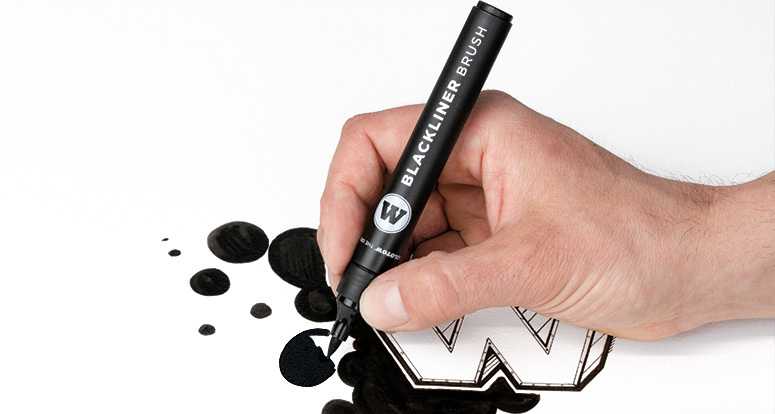 The Blackliner Brush is ideal for painting larger areas, handlettering and calligraphy. 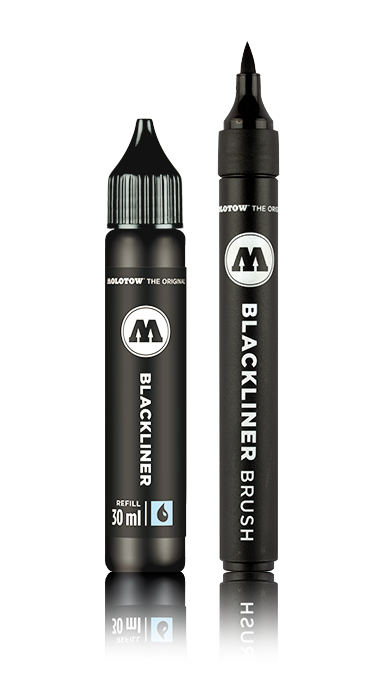 The Blackliner Brush and the refill has the same permanent archival ink like the other Blackliner Made in Germany. Although the ink is water-based, it is resistant to water and chemicals and as well, fade-resistant. The Blackliner has a pigmented archival ink that is not only resistant to water and chemicals, but also fade-resistant. However, not only the high-class ink features make this Blackliner a real quality product, also its Made in Germany production is part of its uniqueness. 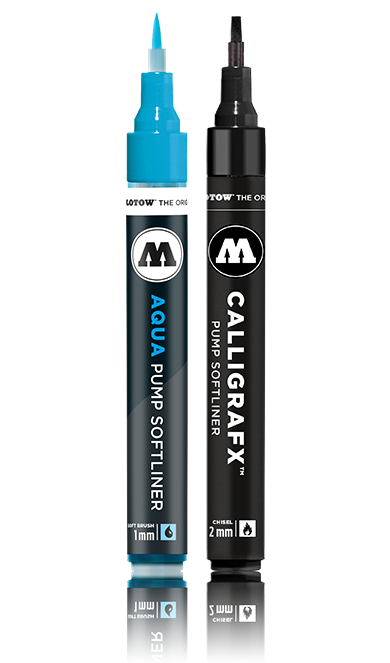 The AQUA TWIN color system is based on a fibre rod system and was developed for mixing own color shades. The water-based ink consists of food-based colorants and is therefore for children’s use approved. The twin marker is refillable. 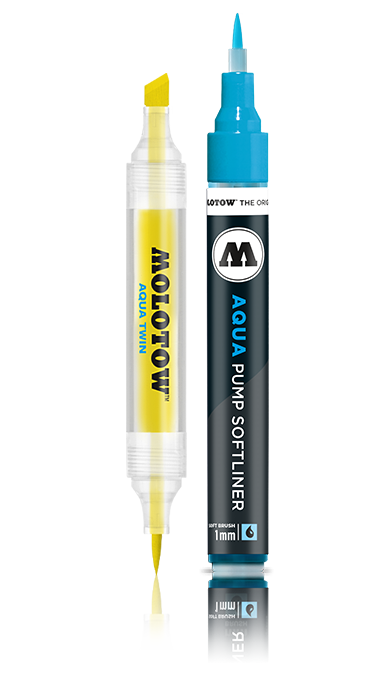 MOLOTOW™ softliners with a soft chisel or brush tip need a special device for activating and pumping, as the brush would be affected by it. 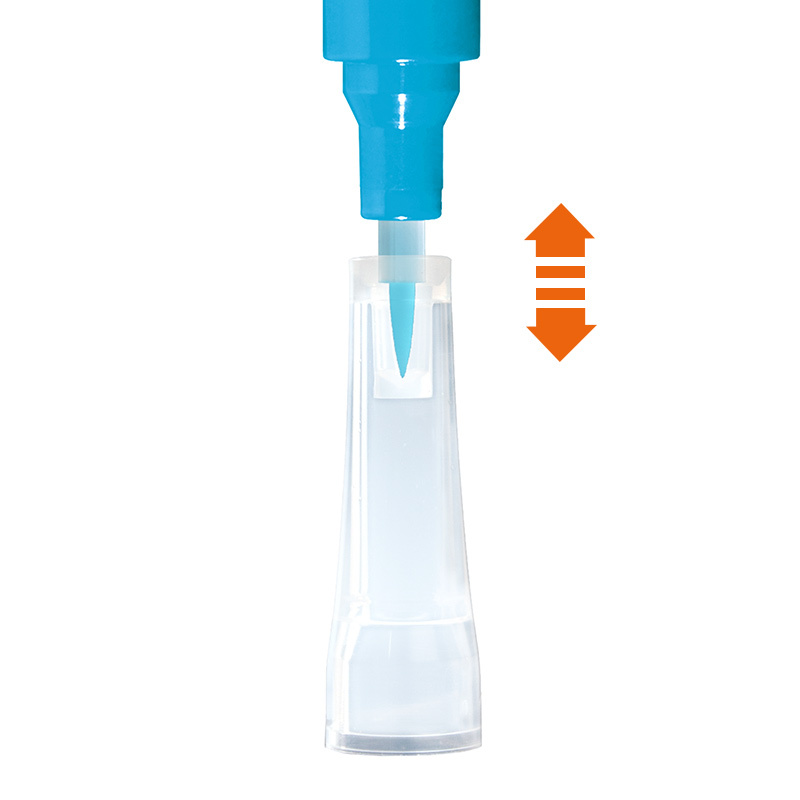 For this reason, the softliners have a patented sealing cap, that enables pumping.